Organisers of Record Store Day have confirmed that this year’s celebration of independent music stores will take place on April 21. It’s the event’s 11th year and will see artists from across all musical genres launching limited edition releases and playing intimate sets to celebrate independent record stores across the world. 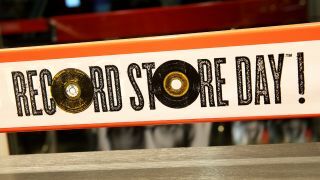 A statement reads: “In its first 10 years, Record Store Day has grown exponentially and is now celebrated by millions of people, in thousands of independent record stores, worldwide. “It has spurred the growth of at least one physical media format, inspired new stores to open their doors, and helped existing stores to grow and expand. The organisation works year-round to promote indie record outlets and will continue its tradition of RSD’s Black Friday, RSD Vinyl Club, Vinyl Tuesday, and individual release promotions. This year’s Record Store Day Ambassador is still to be announced, with the role previously going to artists including Metallica, Dave Grohl, Chuck D, Jack White, Iggy Pop, Ozzy Osbourne and Josh Homme. To find participating stores near you, visit the official website.